What is KODO Soul of Motion? If you’ve recently explored a Mazda model, you may have heard of KODO Soul of Motion. This refers to the design philosophy used when creating all Mazda models. Find out more about the behind KODO Soul of Motion philosophy below before visiting us at Mazda of Escondido to see our inventory up close. KODO design focuses on Japanese culture and creates elegance by keeping things simple. This means using one continuous line for the exterior instead of excessive curves. No matter what Mazda model you choose to liven up your San Marcos drive, you’ll find similar design patterns throughout the Mazda lineup. 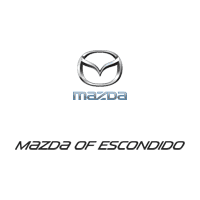 Whether you want to schedule a test drive in one of the Mazda3 Hatchback configurations or learn more about Mazda’s various innovations, contact Mazda of Escondido today to see how you can enhance your Carsbad ride and help you explore Escondido in style. 0 comment(s) so far on What is KODO Soul of Motion?